You know how when you’re a kid and you loved fish and chips–like, almost as much as you loved Barbie dolls and the color pink and Scooby Doo reruns? And then you went to Mel’s Diner with your family and you ordered the fish and chips and were so excited to bite into that flaky fish and those crunchy fries. And by the time it came your little kid self was practically bouncing off the walls stoked and you took a big, greasy bite of fish and wait, what the hell is that? A bone in my fish? And then you spent the next half hour hurling in the bathroom because you saw a bone inside of your fish filet? And then you swore you’d never eat fish filets again? That’s kinda sorta how I felt–very sadly–about the soft pretzel I got off a street cart yesterday in San Francisco. I had a hankering for one and, after walking around and checking out the Betsey Johnson clearance (which was sadly–no joke–nothing but hangers and old sale posters), we found a cart parked outside Union Square boasting juicy hot dogs and thick pretzels. Yum, right? Plus, people are all over food carts nowadays. The term “roach coach” is a thing of the past. People can now trust food carts. It’s trendy, and trendy things never hurt people… right? A good ten minutes after finishing the pretzel, I wished the pretzel would just finish me. Seriously poisoned or something. I was dying. It was awful. And being in a foreign city having just consumed a tainted pretzel? No. Bueno. Especially since Jessie and I had dined at a rinky-dink Brazilian cafe just hours before. I’ve had the food in the past and I’ve been fine, and it was no different today. In fact, the first time we approached the fort-like, run-down structure, I immediately thought of that scene in Bridesmaids when they had Brazilian food and there were some, er, consequences. But thankfully, the food was great and it only reassured my trust in tiny buildings on street corners no larger than a backyard shed that sell THE BEST FOOD OF YOUR LIFE. However, street pretzels are not the best food. Ever. And now I never want to see a pretzel again. 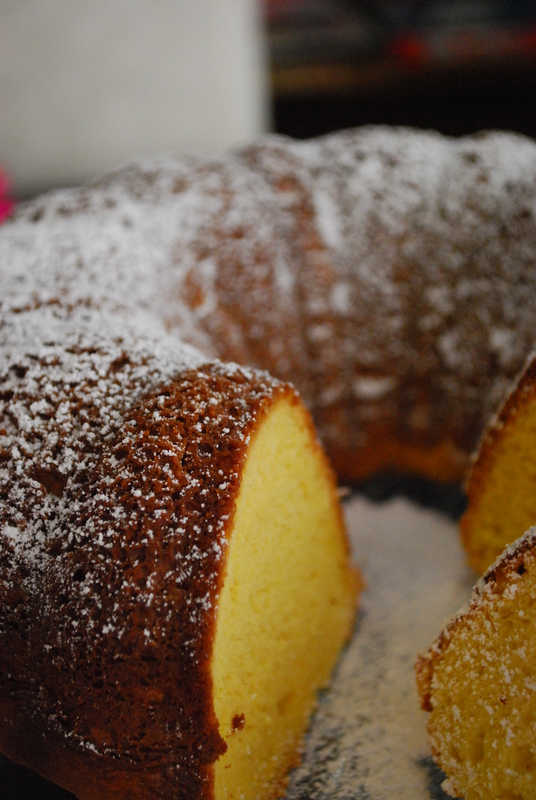 Although when I got home, I did find comfort in knowing I had this Lemon Pound Cake waiting for me. Lemon is my favorite flavor of cake and I never pass up a piece of lemon cake–so long as I know it’s dense, moist and totally refreshing. Personally, I’m a cake girl over a frosting girl (blasphemy for some of you, I know) and sometimes I find frosting is too cloying for delicate lemon cake. Powdered sugar does it juuuust fine for me, thank you! 2. 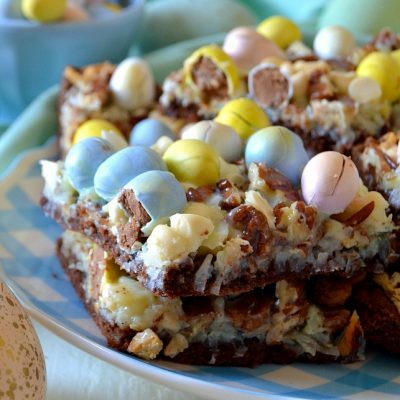 In a large bowl, blend together the cake mix, pudding, lemon juice, sour cream, oil, applesauce and eggs with a mixer for 5-6 minutes or until creamy and well blended. Batter will be very thick. Pour the batter evenly into the prepared pan. 4. Dust the cake with powdered sugar. Store leftover cake airtight for approx. 1-2 days. Cake may be refrigerated, airtight, if desired. At first, I was unsure of why I needed sour cream, oil and applesauce, but somehow, the trio works well in making such a dense yet perfectly moist cake. 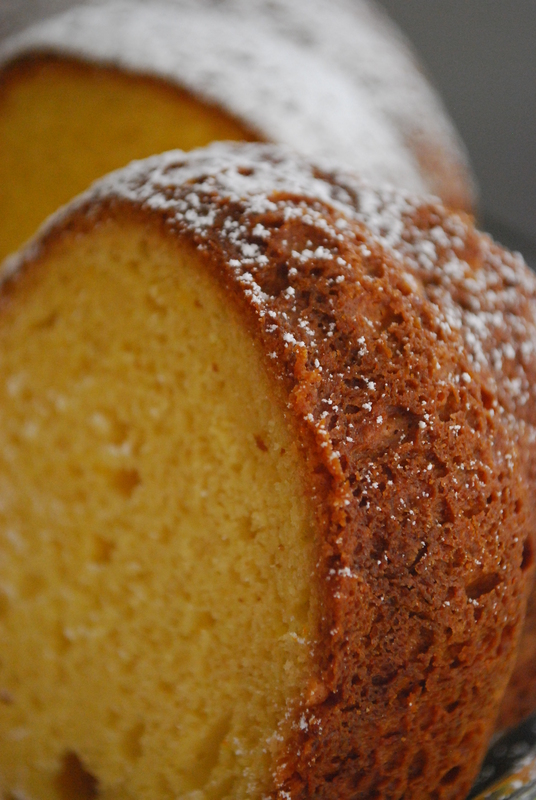 Pound cake without butter but just as perfectly rich? Who knew?! This looks fantastic!! 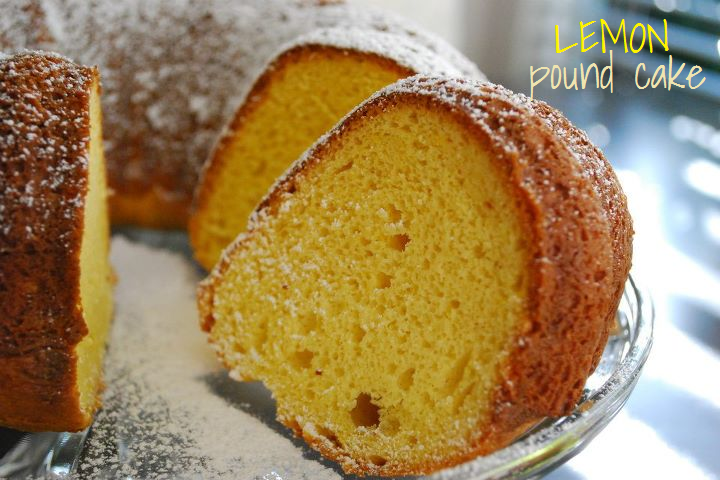 I love lemon pound cake because not only does it taste good, it also is great after a mealddd to settle the stomach – Ha! Didn’t know it had medicinal value. Can’t wait to make it. Pinning it!! 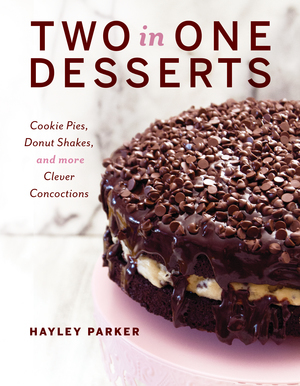 I love today’s recipe Hayley! Your pictures are beautiful! Love that shot of the falling sifted powdered sugar. You are honestly the cake mix queen. How many boxes do you go through a week?? 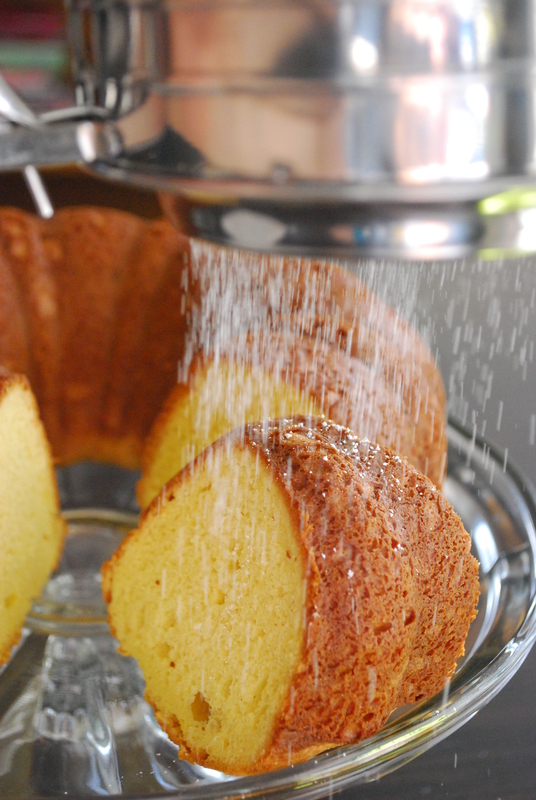 I love lemon desserts, but never would have thought to use lemon cake mix as a base for pound cake! No butter? I’m intrigued! I love lemon in the summertime -such a refreshing flavor. I am definitely a frosting girl BUT it has to be really good frosting. Not canned, not made with crisco or margarine, not super sugary… I’m a picky frosting lover 😉 This cake needs no frosting, I can tell. That’s the sign of a really good cake. Ooooo yes to this cake. Looks heavenly! Beautiful photos and I may have mentioned this before, but I’m a lemon fanatic. Eek! This cake looks amazing! And I love, love, LOVE that picture of the sifted powdered sugar! Come take some pictures for me, would ya??? I would love a double photo-baking date!! 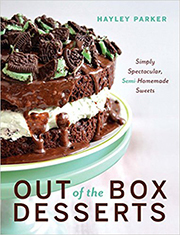 I tried this recipe- followed to the T and…..OMG!! !….que rico!(delicious). One of the best things I’ve ever baked before according to my hubby! Thx for the great recipe. In your procedure list you call for eggs, however the quantity of eggs is not listed in your ingredients list. I made this cake yesterday and due to my oven temp I overcooked it 🙁 The inside tastes great, the outside not so much lol I will try again. BTW, I used 3 large eggs…. Hi Diamond! I’m sorry! I didn’t even notice I was missing my egg measurement. BTW, it is 3 large eggs & I’ve altered the recipe accordingly. I’m sorry the outside of your cake didn’t turn out as well; hopefully it’ll work next time! Thanks for commenting and bringing it to my attention.